What kind of relationship do you have with food? Is it a love-hate relationship? Is your response, “It’s complicated.” Don’t hate us, but we have one more complication to add to your plate—the relationship between diet and inflammation. Really? Diet and inflammation, you ask? Who knew? Actually, we do! And it could be helpful for you to understand the relationship between diet and inflammation, too. Do you battle your weight? You learn to count calories. Perhaps you need to avoid gluten. You start reading labels. It isn’t true that what you don’t know won’t hurt you. Are you diabetic? Do you have food allergies? Do you have Celiac disease? You already know that some foods enhance your health and others can damage it. However, what does the relationship between diet and inflammation have to do with physical therapy? More than you think! So let’s look at what it is, what causes it, and what you can do about it. Inflammation is your body’s natural response to a threat to your health. When you cut your finger, the body sends white blood cells and other components to fight infection. Sunburn? Bacteria? Viruses? Allergens? Your immune system senses a threat and deploys its defense system. This is good. How many times have you boosted your immune system when you were under the weather? Have you taken extra vitamins or medications or eaten special foods? You instinctively know there’s a connection between diet and the immune system. What you might not have realized is that when you boost your immune system, you might, in effect, be enhancing your body’s inflammation. Inflammation is a good thing under those circumstances. You want your body to respond appropriately to a threat in order to speed healing. However, what happens when your body is constantly inflamed? When the cut is healed you no longer need a boost to your immune system. You need it to turn off. Too much of a good thing is no longer good for you. That means that your diet could be working against you. The problem with foods that trigger inflammation is that the body’s response can go unrecognized. Low-grade inflammation damages your body imperceptibly over time. By the time you and your doctor figure out what is going on, your organs, such as the kidneys or liver, might be significantly damaged. Do we have your attention now? 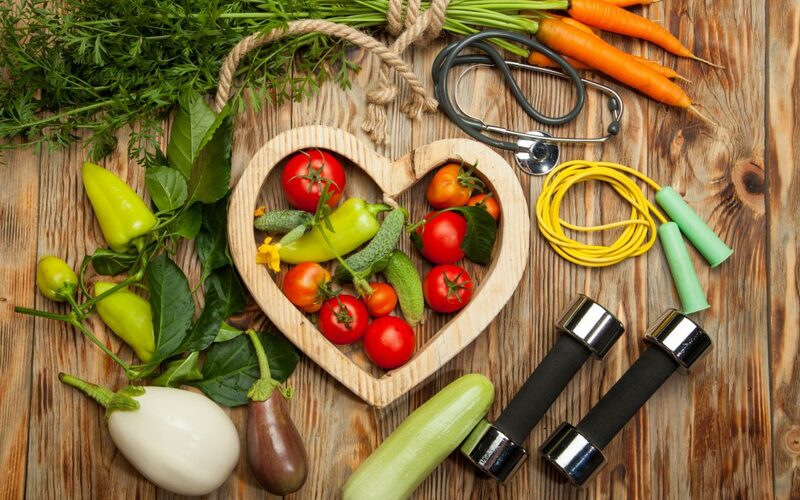 Diet and inflammation can cause significant health issues, and some of those issues send you to a physical therapist to recover physical functioning or help find relief from pain. Plenty of factors in the environment and daily life can lead to excessive inflammation. Some factors, such as pollution, you have little control over; however, most of the factors are related to lifestyle choices: smoking cigarettes, insufficient physical activity and burning the midnight oil. But by far, the biggest factor in causing inflammation is your diet. When you control your diet you can reduce your body’s chronic inflammation. You just need to learn which foods activate inflammation and which ones suppress it. Then you can tip the balance to fit your need, especially if your body doesn’t want to turn off your immune system response. Changes in the American diet over the past century have taken their toll on our health. Our diets are out of balance. The typical diet is weighted heavily in favor of foods that promote inflammation, such as refined carbohydrates and foods high in sugar. The result is that our bodies feel constantly under siege and our immune systems don’t turn off. Our livers and kidneys aren’t designed to run constantly, trying to reverse the impact of inflammatory foods. We run the risk of organ damage or failure when our diets overemphasize additives such as polysorbate 80 or omega-6 fatty acids. When you think of eating a balanced diet, you are likely thinking about food groups: meat, dairy, fruits and vegetables, etc. However, there is another way to group foods to maintain a different type of balance: inflammatory foods and anti-inflammatory foods. When it comes to diet and inflammation, it is not about labeling foods good or bad. The issue is that these foods need to be in balance. If you completely suppressed inflammation, you would suppress your body’s ability to heal when it needs to. When you are fighting an infection, inflammatory foods are helpful. Keep in mind that this is not a list of forbidden foods! You can still have milk and cereal for breakfast or a PBJ for lunch. However, if inflammation is a problem for you, cut back on these foods. You’ll feel better. If inflammation is a problem for you, these are foods you can indulge in. Green tea is your friend and dark chocolate is your BFF! Remember, none of these foods is off limits! You can still eat your favorite foods from either category. When you understand the relationship between diet and inflammation you can use that knowledge to keep your intake of inflammatory and anti-inflammatory foods in the proper balance for your body. What we’ve covered here about diet and inflammation has only scratched the surface. How do you know whether low-grade inflammation is a problem? Your doctor can order a specific test to find out. Unfortunately, there is no simple formula for balancing your intake of inflammatory and anti-inflammatory foods. As with any diet, it’s helpful to get advice from a reliable source. Consult your doctor, especially if you have a chronic disease related to or aggravated by inflammation. You might also want to consult a dietician. Because physical therapists deal with treating the chronic conditions that are caused or aggravated by low-grade inflammation, Midland Physical Therapy is also here to help you. We want to be sure that the exercises and physical activity you do will improve your health. We also want to be sure that your diet isn’t working against you. Midland Physical Therapy has the knowledge and resources to help you put together a diet to keep your inflammation under control. Ask your therapist for tips about diet and inflammation when you come in for a therapy session. Or Contact Us or call us at (989) 832-6485 to schedule an appointment focused on your dietary options. When it comes to diet and inflammation you do have choices. We can help you find the balance that works for you.